We LOVE themed birthday parties. 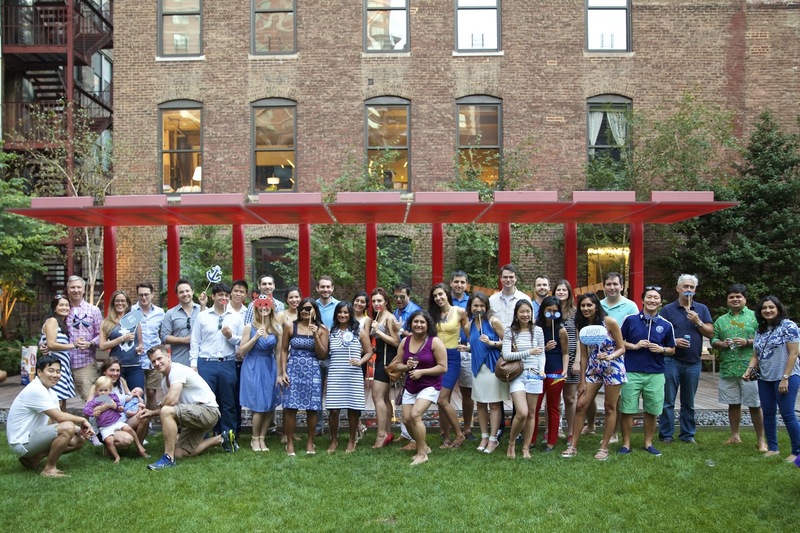 This year, we hosted a big TWIN SAIL-A-BRATION for our 34th birthday. We were inspired by our AMAZING family trips to Nantucket. We rented a beautiful outdoor courtyard and incorporated a lot of lighthouses, anchors, whales and boats. We even managed to track down Cisco Brewery’s Whale’s Tale beers and 888 Blueberry Vodka. 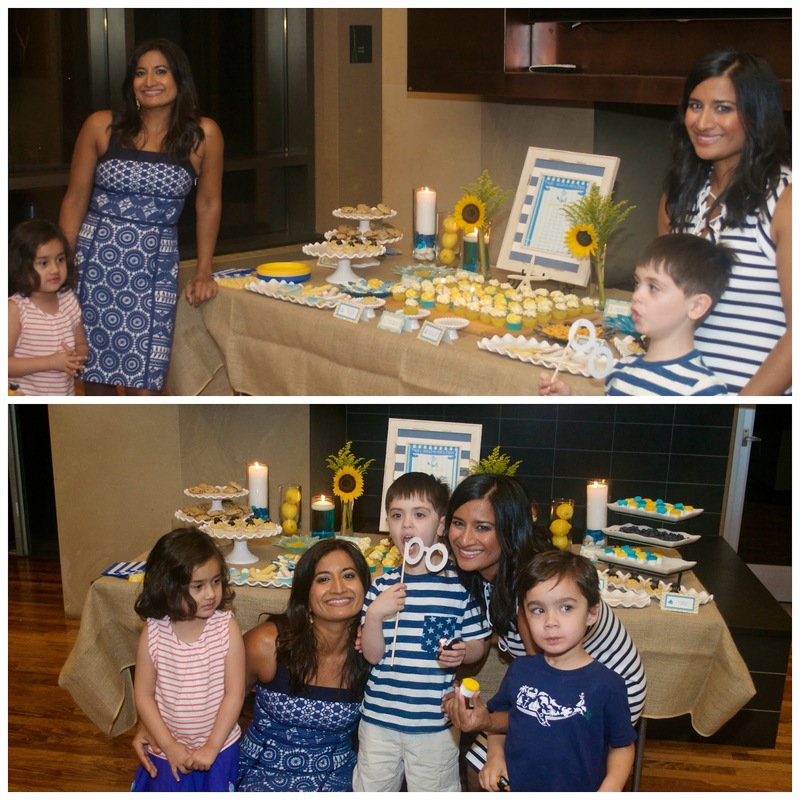 The party was so much fun and we are very excited to share the details with you! 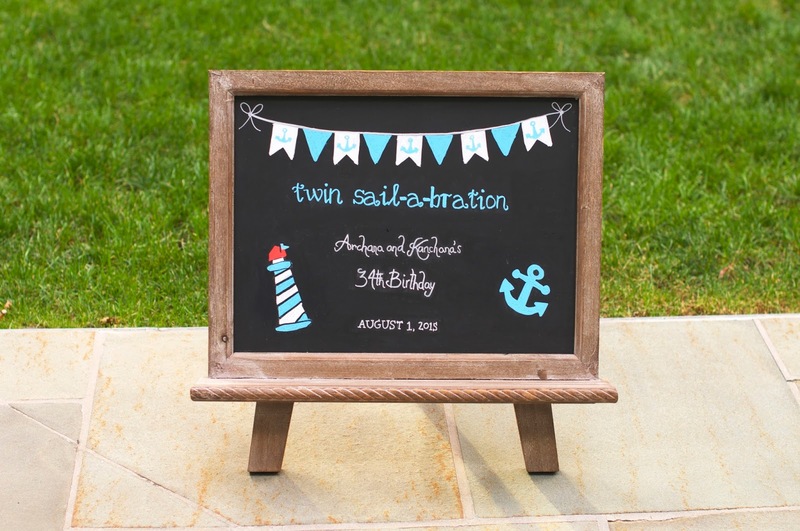 Many nautical parties are red, white and blue. Since we see so much of the Americana colors on Memorial Day, July 4th and Labor Day, we decided to go with a blue, white and yellow color palette for our party. We love using flowers to add pops of color to a space. SIMPLE arrangements can be BEAUTIFUL without breaking the bank. Since there aren’t many options for naturally blue flowers, we incorporated a variety of yellow and white floral arrangements. 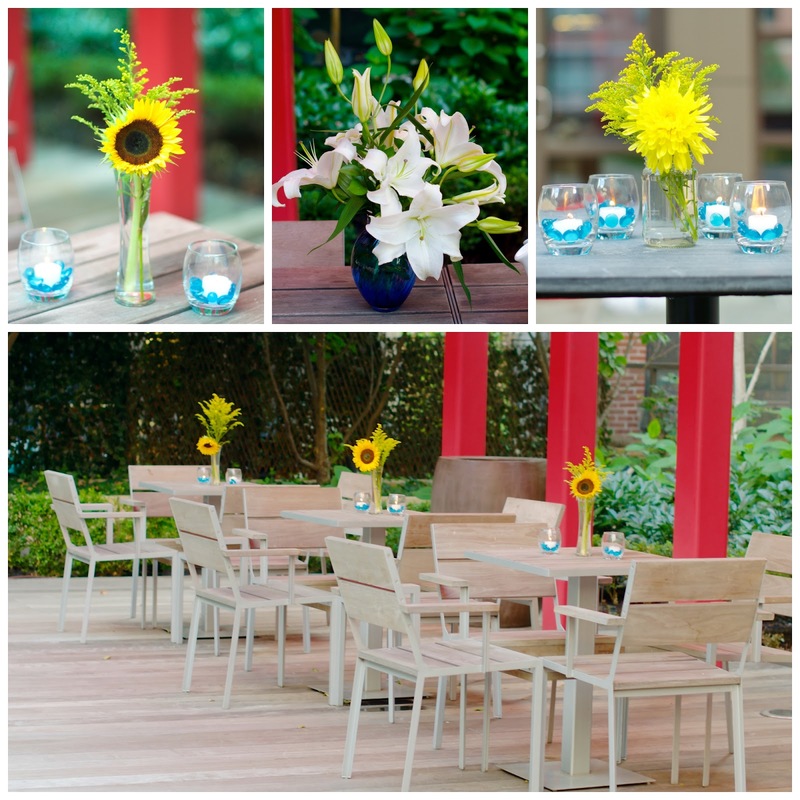 We placed yellow spider mums on our cocktail tables and sunflowers on our dining tables. Hurricanes with white votives and blue gems completed our table arrangements. We placed a stunning white lily bouquet in a blue vase on our buffet. White gladiolus were suppose adorn our bar but unfortunately it was so windy the arrangement had to hide indoors. We hung a TWIN SAIL-A-BRATION burlap banner above our buffet. 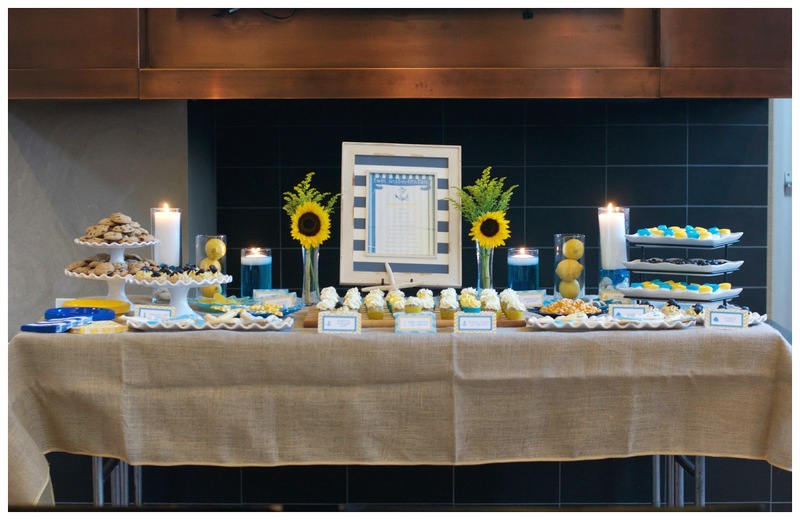 We LOVE how the banner framed our buffet table. We created this banner with silver letter stickers and blue string from Michaels. 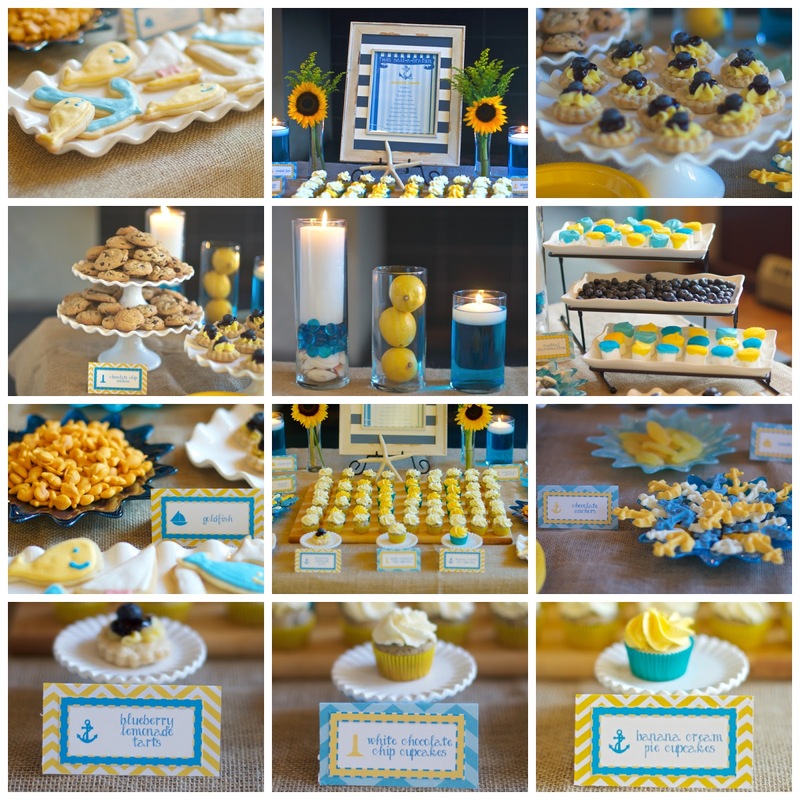 We had A LOT of fun creating our nautical menu, which was inspired both by Nantucket and our color scheme. 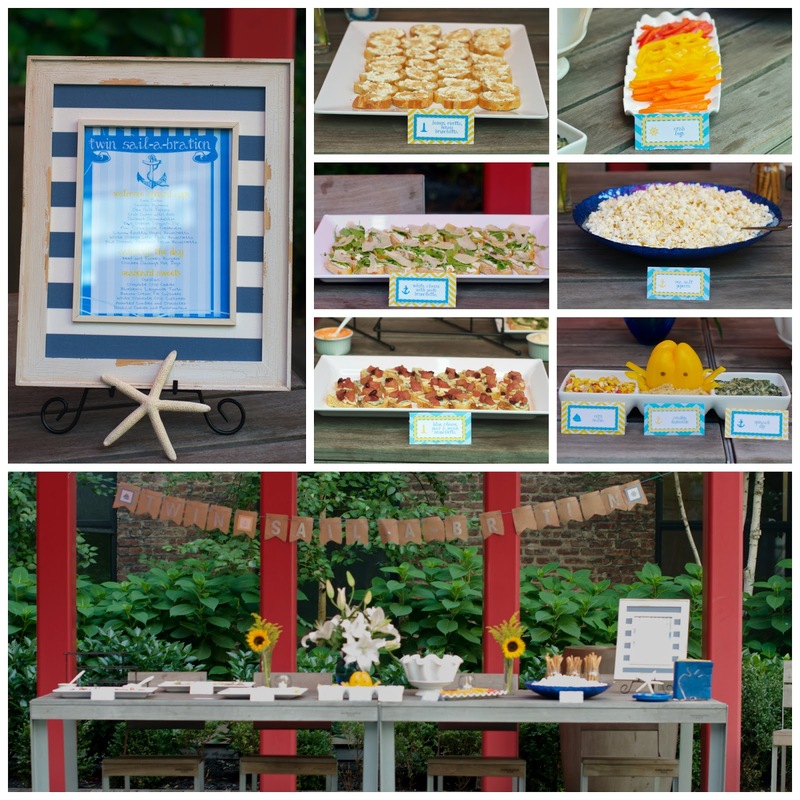 We displayed our whimsical menu in a blue and white striped picture frame from Michaels. We LOVED our dessert table this year. To create a stunning dessert display, incorporate platters and vases in a variety of sizes, heights, shapes and widths. We used a burlap tablecloth, a wooden cutting board and a combination of white and blue platters on our table. We recommend sticking largely to white dishes as colorful desserts photograph beautifully against the white. To add height, we placed six cylinder vases of varying size on our dessert bar. Rather than filling these with colorful candies, we incorporated colored water, candles, blue gems and lemons. Candies are great for children’s parties but not so much for adult parties (unless you want lots of leftovers!). We placed a striped picture frame to display our Seaboard Sweets menu. We completed our dessert table with two simple sunflower arrangements. Guests had their choice of 3 specialty drinks: blue lemonade, white cosmopolitans and fresh lemonade. Archana topped the cocktails off with an anchor shaped ice cube. The ice cubes were A LOT of work and melt VERY quickly! If you plan to make these whimsical ice cubes, have your camera ready to snap a quick shot. We also served guests Whale Tale’s beers and wine. One of our guests tracked down some Nautical wine from Lucas Vineyard- we loved the names: Tugboat Red and Nauti White. 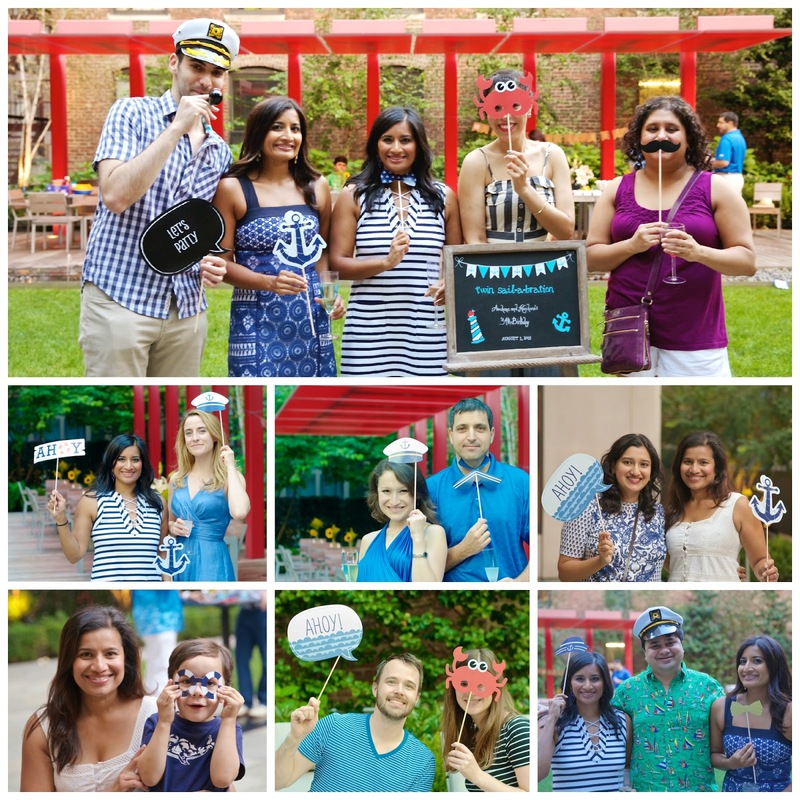 Guests had boatloads of fun with our nautical photo booth props and our TWIN SAIL-A-BRATION sign. Whipped Cream Frosting: Martha Stewart plus 1 teaspoon vanilla, pinch of cream of tarter and 2 tablespoons of meringue powder. Check out Olivia of My King Cook for lots of tips on making whipped cream and not just in a stand mixer.